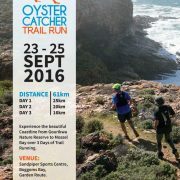 Experience the beautiful coastline from Gourikwa Nature Reserve to Mossel Bay over 3 days of trail running. 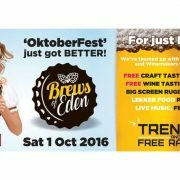 Join us at Mitchells Knysna Brewery for local Garden Route Craft Beer and Wine tasting (vouchers included), Big screen Rugby (SA vs AUS) and live music featuring Trenton & Free Radical !!! It’s going to be epic! 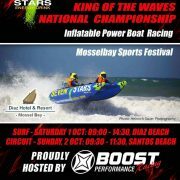 Tickets R100.00 (on iTickets and limited sales at the door). Arrive early to take the best seat and advantage of the vibe! 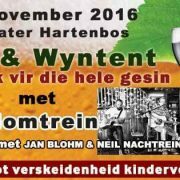 Stellenbosch are you ready? We have fantastic breweries lined up and some of the best artists in the country right now! Limited tickets with branded glass included, unless you want to drink out of a plastic cup, make sure you book yours today! 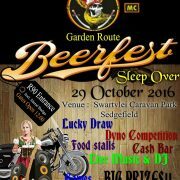 Join BF MOTORCYCLES – and The Syndicate MC Garden Route at This Years BEER FEST sleep over in Sedgefield. 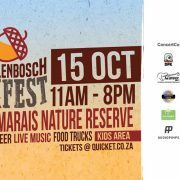 Live Music, Dance floor, DJ, Food stalls, BF MOTORCYCLES pop up Shop with loads of specials, DYNO Machine with Dyno competition. Cash Bar and Shooter Bar. Fun Games and Beer Pong! This year we want everyone to sleep over and enjoy the JOL with us! 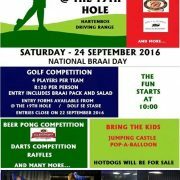 Only R90 Entrance – this includes sleep over and metal badge!